Sputnik took a deeper look at the so-called "jihadimobiles," one of Daesh's main weapons in Syria. Russian motorized infantry units conducted drills in Tajikistan, practicing countermeasures against combat vehicles used by terrorists in Middle Eastern conflicts, including by Daesh in Syria. The drills involved over 500 personnel and nearly 100 pieces of military equipment, including aviation. "A group of simulated militants was detected by drones on a mountainous road. The group comprised of an explosive-laden truck accompanied by several gun trucks. The road was blocked by trooper forces and armored vehicles were used against the 'militants.' Their trucks were destroyed with guided anti-tank missiles," a statement by the Russian Central Military District read. This was the first time the Russian military has conducted such an exercise. Combat experience in Syria proves that weapons and combat vehicles handcrafted by terrorists in the field can be a very serious danger. Russia troops have dubbed such terrorist vehicles as "jihadimobiles." In fact, there is a wide range of vehicles that can be turned to such weapons, built with a common purpose to kill as many people as possible in an attack. They can be built on the chassis of both a civic or military vehicle. For example, the Syrian Army and Russian personnel in Syria have seen scooters with a bomb in the carrier and dump trucks filled to the brim with explosives. Usually, "jihadimobiles" are built based on old combat infantry vehicles, trucks and passenger cars. Their bodies are covered with armor plates. Moreover, they can have different types of tires, a bulldozer scoop, a machine-gun turret etc. There are a lot of videos on the internet showing such vehicles in action. An explosive-laden truck can destroy a tank or raze an entire building to the ground. Russian troops in Syria have also dealt with such weapons. In May, Russian President Vladimir Putin awarded a group of Special Operation Forces officers with decorations for heroism. In Syria, those troops were engaged in combat against some 300 jihadists who used several "jihadimobiles" and an armored truck with a bulldozer scoop. "This is a very dangerous weapon. First, it carries tons of explosives enough to destroy any amount of armored vehicles, Second, usually they’re built on the chassis of passenger cars and trucks that can drive quite fast. Finally, such vehicles are driven by suicide attackers. Moreover, militants often used 'jihadimobiles' in urban areas and closed areas, so they’re very difficult to stop," Russian military expert Alexander Murakhovsky told Sputnik. He also pointed to the fourth striking factor in such an attack: the psychological component. "This is about the terrifying effect they produce. Far from everybody can keep calm when they see an explosive-laden truck driven at full throttle by a suicide attacker. In this situation, countermeasures must be lightning fast to stop the attack, including using all types of weapons, from heavy machine guns to anti-tank weapons. This is why such drills are important," Murakhovsky said. 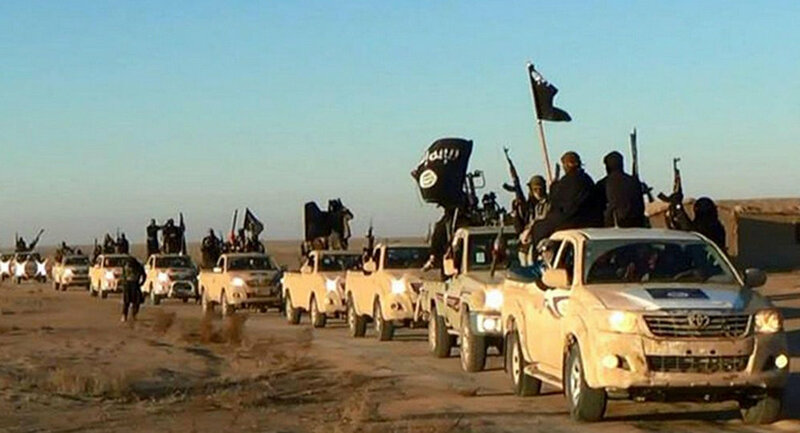 Another popular weapon among Daesh militants are armed technical vehicles, i.e., gun trucks. Typically, a gun truck is a truck with a mounted heavy machine gun or an anti-aircraft gun. Gun trucks have long been used in conflicts in the Middle East, including in Libya. They are mobile, powerful, not expensive and easy to maintain. "In fact, a gun truck is a cheap alternative to an infantry fighting vehicle. 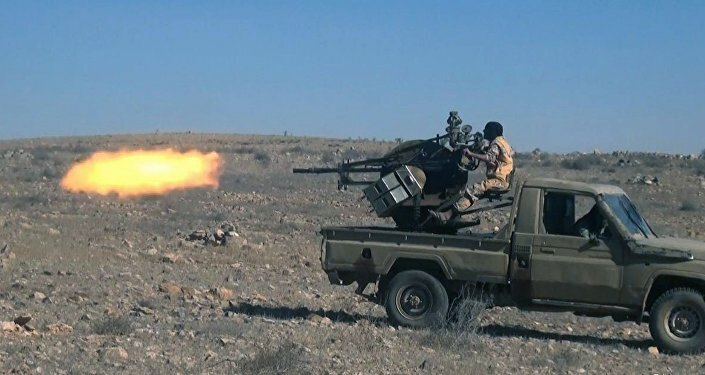 While 'jihadimobiles' are specific to the Syrian conflict, gun trucks have always been an attempt to have an alternative to light armored vehicles. They are not very dangerous, but must not be underestimated," the expert said. He also pointed to the fact that militants make repeated attempts to form armored units, by the example of a real military force. In particular, Daesh terrorists in Syrian have handcrafted mortar guns, multiple launch rocket systems and anti-tank guns. Such weapons are powerful but not accurate, which results in a large number of victims among civilians, according to Murakhovsky. Furthermore, the expert emphasized that terrorists in Syria have also made significant progress in making explosive devices. Roadside bombs planted by militants are a headache for the Syrian Army. On February 16, four Russian military advisers were killed by a roadside bomb explosion. "Daesh terrorists use ground bombs with wired control. Remotely controlled explosive devices can be easily defused from a distance. As for a wired control bomb, it is nearly impossible to be detected and jammed. However, the number of such attacks has decreased in recent months. Terrorists must have faced a shortage in materials," Murakhovsky said.